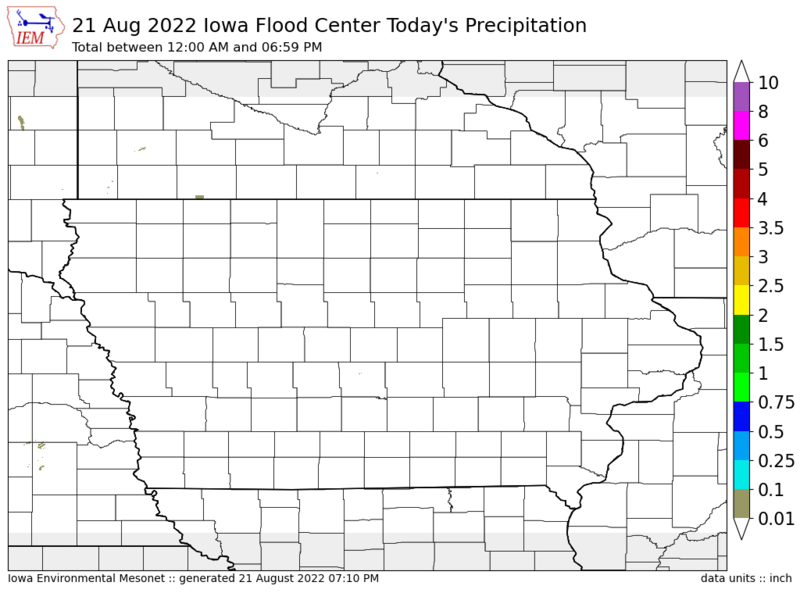 The Iowa Environmental Mesonet (IEM) collects environmental data from cooperating members with observing networks. The data are stored and made available on this website. Low temperatures on Saturday are forecast to start off chilly in the 30s, but then recover into the mid 70s. Is this common for April? The featured chart attempts to address that by looking at hourly temperature distributions on days with a high temperature of at least 75 degrees for Ames. The distributions are shown by box and whisker plots showing the inter-quartile range box and whiskers out two sigma. For these days, the overnight temperatures are typically in the upper 40s or lower 50s. The forecast situation on Saturday is not too rare though as plenty of events are indicated by the chart. 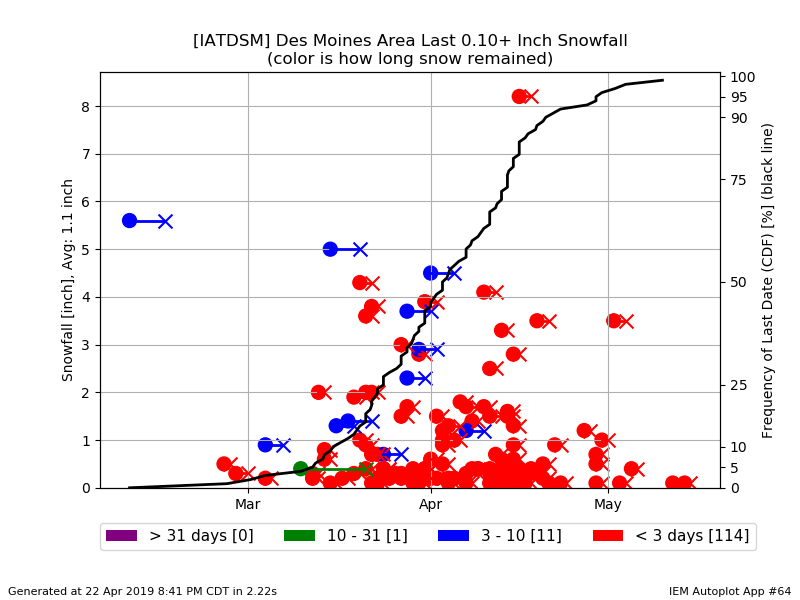 Data from the Iowa State Soil Moisture Network is found on this website and daily soil temperature averages are used to produce the highlighted analysis. Besides point observations of precipitation, the IEM also processes gridded rainfall products made available by NOAA. This information is archived and made available in GIS ready formats. The IEM combines data from participating networks into products like maps shown above and web applications to analyze the data.